This is a letter to Miss Berry from Rose Murger addressing the check she has enclosed for part of her scholarship at Berry. 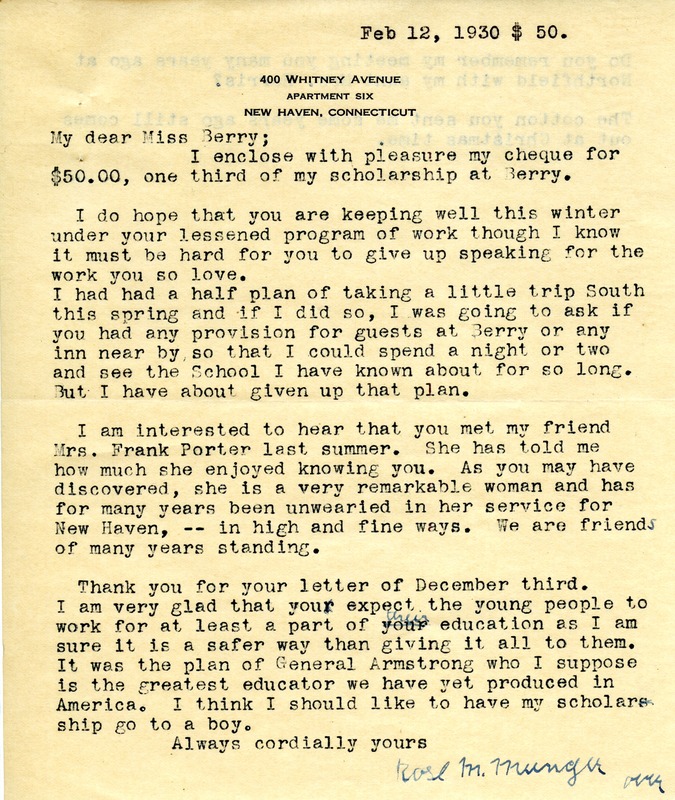 She also talks about the trip she had planed to visit the Berry School and also thanked Martha Berry for her great education. 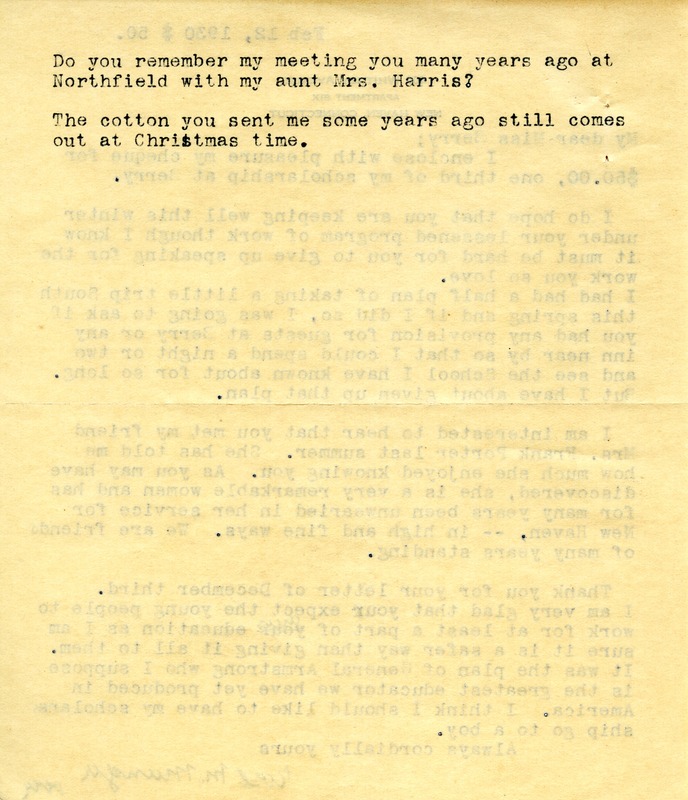 Rose M Murger, “A Letter to Miss Berry.” Martha Berry Digital Archive. Eds. Schlitz, Stephanie A., Andrea Rodgers, Chelsea Risley, et al. Mount Berry: Berry College, 2014. accessed April 21, 2019, https://mbda.berry.edu/items/show/13505.